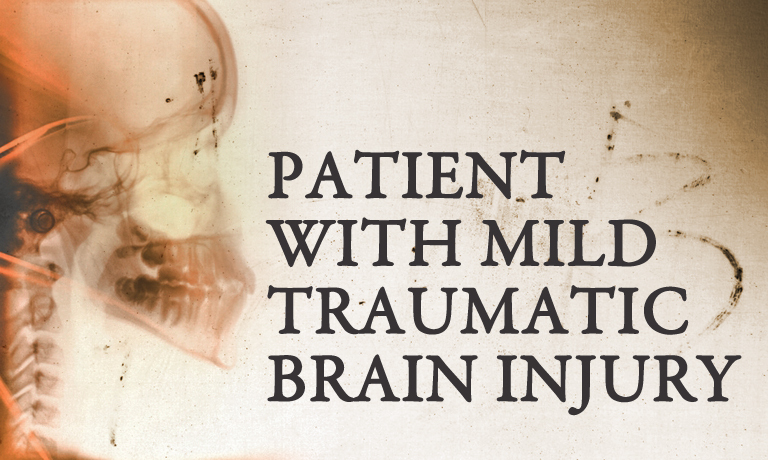 Mild TBI After MVA: What Are the Symptoms and Who Treats Them? News Bite: Up to 1 year after sustaining an Mild TBI during a motor vehicle collision, multiple symptoms and pain in several anatomical sites are common. Care-seeking from multiple providers continues throughout the first year postinjury. While the true incidence of traumatic brain injury (TBI) and concussion is not known, it is estimated that as many as 600 of every 100,000 Americans are affected every year, resulting in approximately 1.4 million visits to emergency departments yearly. There is evidence that the incidence of TBI is increasing, especially during sports activities, possibly reflecting both true increase and increased reporting. Symptoms after MTBI vary but may include headache, blurred vision, confusion, dizziness, memory problems, fatigue, and sleep difficulties to varying degrees. Most patients with MTBI recover within the first year even though a significant minority continues to report symptoms. To describe the 1-year course of symptoms following mild traumatic brain injury (MTBI) sustained in a motor vehicle collision as well as patterns of care-seeking, a one-year follow-up of a population-based inception cohort was conducted in the province of Saskatchewan, Canada, with a population of about 1,000,000 inhabitants. Persons sustaining an MTBI during a car collision between November 1997 and December 1999 numbered 1716. The study reported the prevalence of sleep disturbances, tiredness, dizziness, forgetfulness, vision problems, hearing problems, headache, neck pain, mid back pain, and low back pain at 6 weeks and 3, 6, 9, and 12 months postcollision. At the same time points, it reports self-reported care-seeking from registered health care professionals. Six weeks after the collision, 75% reported having more than 3 symptoms and 30% had clinically significant pain in more than 3 body sites. Over time, the prevalence of symptoms and pain decreased but they were still common after 1 year. Almost all participants sought care for their symptoms at all time points, most commonly from a physician. Care-seeking from physiotherapists, chiropractors, and massage therapists was also very common, and most participants sought care from 2 or 3 providers at all follow-up points. Up to 1 year after sustaining an MTBI during a motor vehicle collision, multiple symptoms and pain in several anatomical sites are common. Care-seeking from multiple providers continues throughout the first year postinjury.